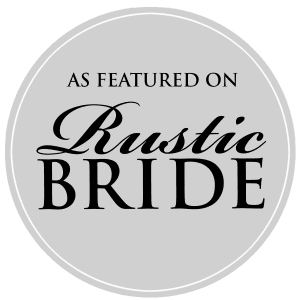 Looking for a Rustic Barn Wedding? 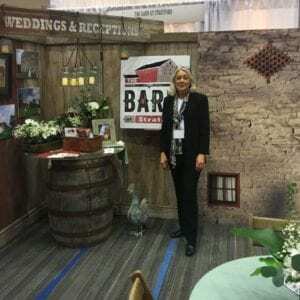 Come see our beautifully decorated Barn at Stratford booth at The Columbus Weddings Show. The biggest wedding show in Ohio. You can view the latest wedding styles and trends. The Barn at Stratford is represented by a beautifully decorated booth. A setting showing the rustic elegance of our historic barn in nearby Delaware Ohio. Step into the booth and imagine your family and guests stepping into relaxed elegance for you wedding. Connie Hoffman (pictured), Venue Manager, is on hand. Connie has years of experience in staging celebrations. She is looking to meet and greet you at the show. Benny Shoults, a wonderful designer, will also be there to talk about your wedding ideas. At the booth, pick up our brand new Barn at Stratford brochure, flyer and business card. They are a handy way of sharing what you have seen at The Barn at Stratford booth. The Barn’s climate controlled gallery is available year-round. With 3700 square feet of space there is room for sit-down dinner seating for up to 160. The Barn is pleased to host weddings, receptions, photo sessions and preparations. Come to the show at the Columbus Convention Center today until 5pm. The show is open on Sunday from 12pm to 5pm.